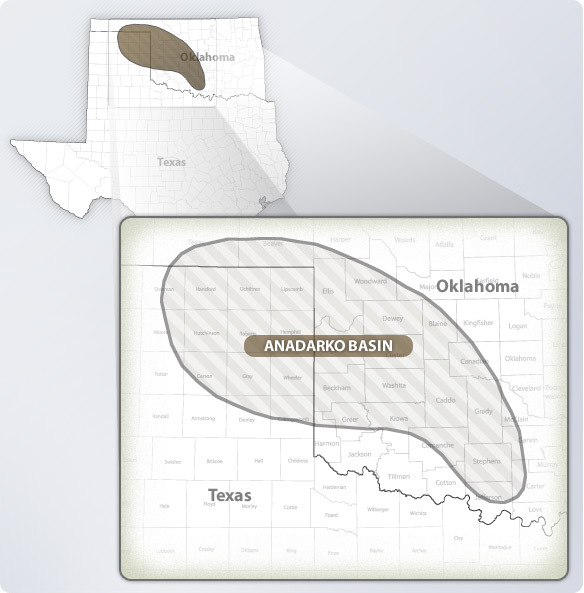 The Anadarko Basin covering southern Oklahoma and the Texas panhandle. Prolific Natural Gas, Helium, and Oil Production. Wind Energy has become a dominant Energy lease in this area. The County Landman created a Wind, Solar, and Oil, Gas , Lease for this area.. 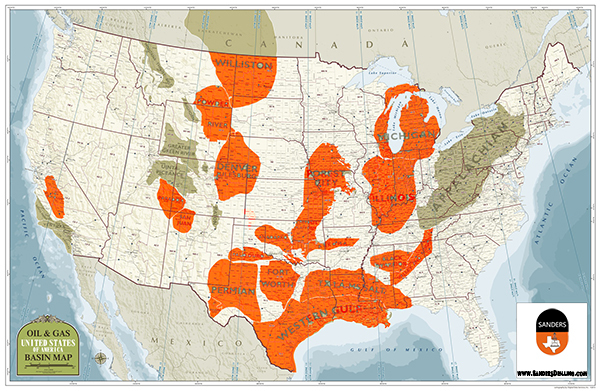 The Anadarko covers 50,000 square miles defined by the map above. 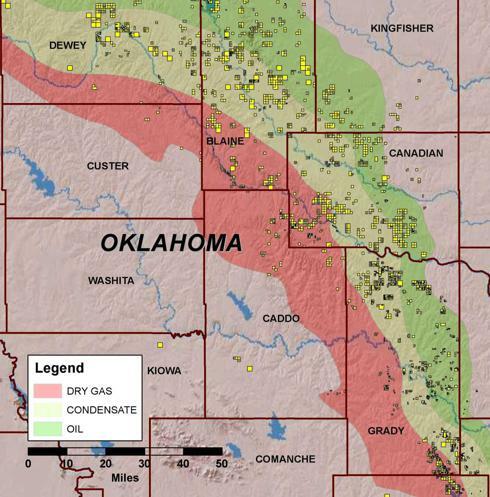 In 1999, the Anadarko Basin was the highest ranking natural gas field in the United States. The most prolific part of the field was wildcatted by LE Sanders in 1922 near Liberal, Kansas, natural gas was later discovered in 1927. Lonestar Natural Gas maintained the field until 1987. 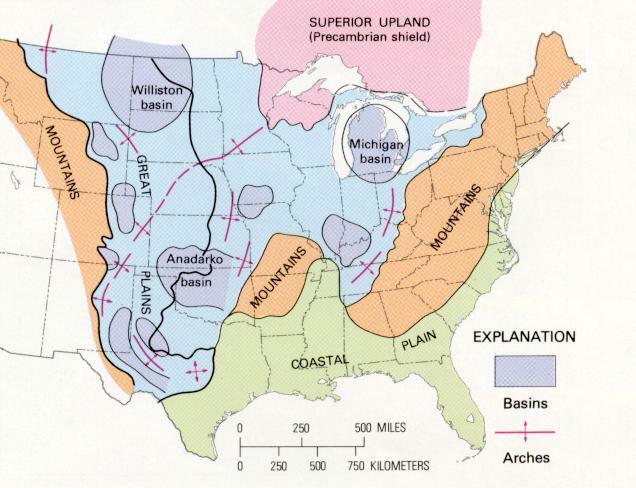 In 1996, shale to natural gas was invented in the Barnett shale because of its proximity to the Fort Worth Basin, this basin the Anadarko Basin immediately became the next basin where natural gas to shale technology was applied. 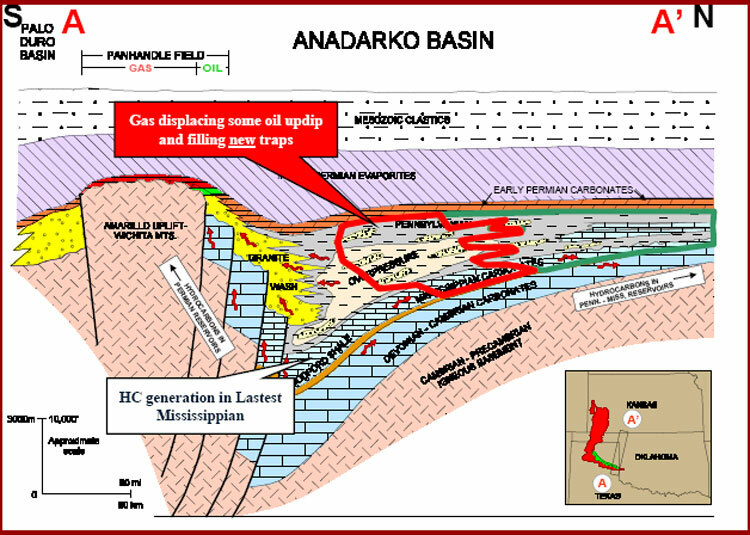 The Anadarko proved most prolific on the western slopes of the basin first identified as the Hugoton field which was later defined as the Hugoton Basin, which became the most prolific producer for its size in the country. 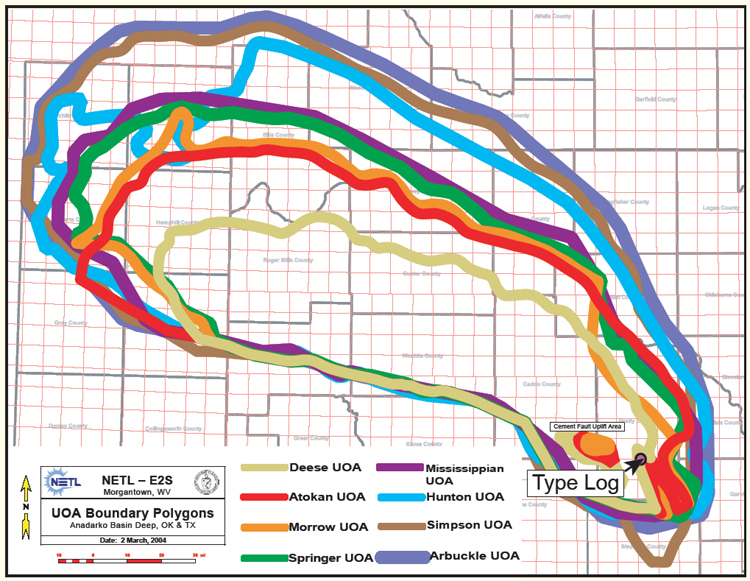 The Hugoton, West Edmond Field, Union City Field and the Elk City Field, are also the only commercial source for iodine in the United States. The basin continued to produce even during the slumps of 2015- 2016 because of natural gas, helium, and iodine production.